Home » News » Death certificate issued to a living person! Death certificate issued to a living person! 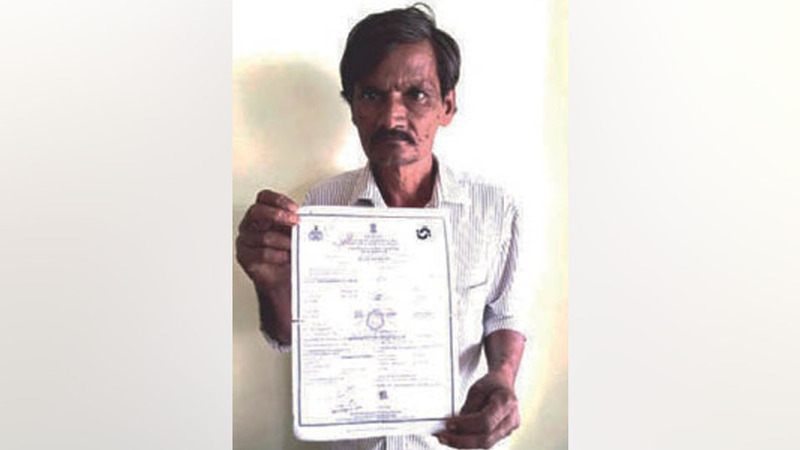 Mandya: Out of sheer negligence, one Ramegowda of Chikkaharohalli village in Srirangapatna taluk has been reportedly issued a Death Certificate by Deputy Tahsildar of Arakere hobli Sub-office instead of issuing it in the name of Ramegowda’s deceased father Thimmegowda. When Ramegowda and others brought it to the notice of the Deputy Tahsildar, he was said to have given an evasive reply. When the officer was questioned by Ramegowda and others, they were said to have been warned by the Deputy Tahsildar of filing a complaint of caste abuse against the villagers. The villagers have complained to DC Manjushri against the Deputy Tahsildar.